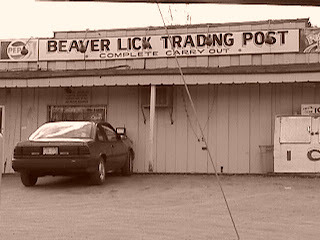 When near Walton, Kentucky, be sure to stop by the Beaver Lick Trading Post. It's not far from Big Bone Lick. Two tastes that go great together! And remember: help promote beaver awareness.